I'm back with another card this week. 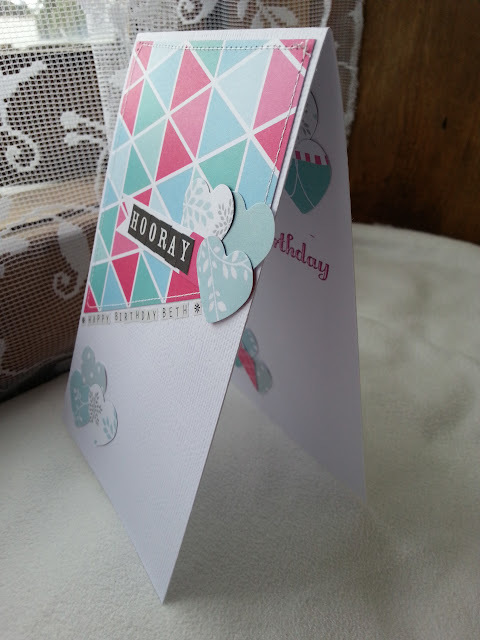 This time a colourful birthday card. 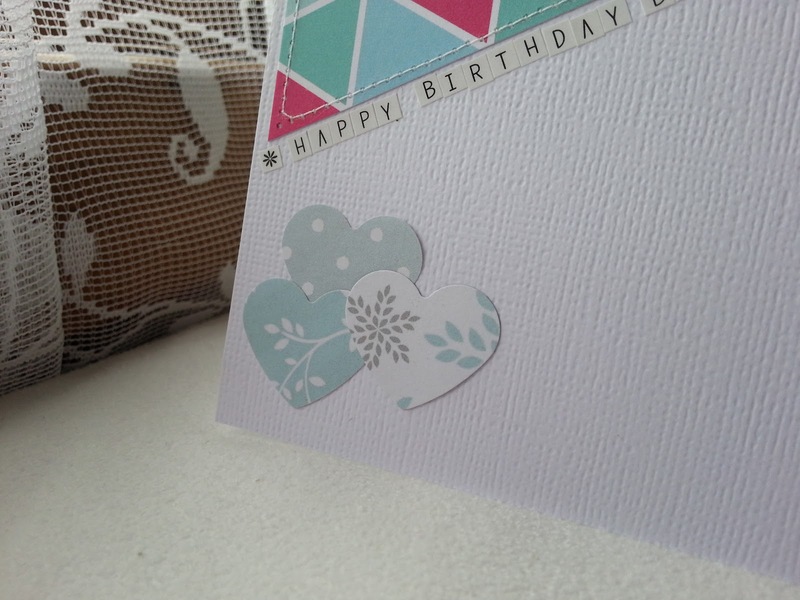 After the white cardstock base, I cut a piece of patterned paper from a 6 x 6 inch paper pad and stitched it on. 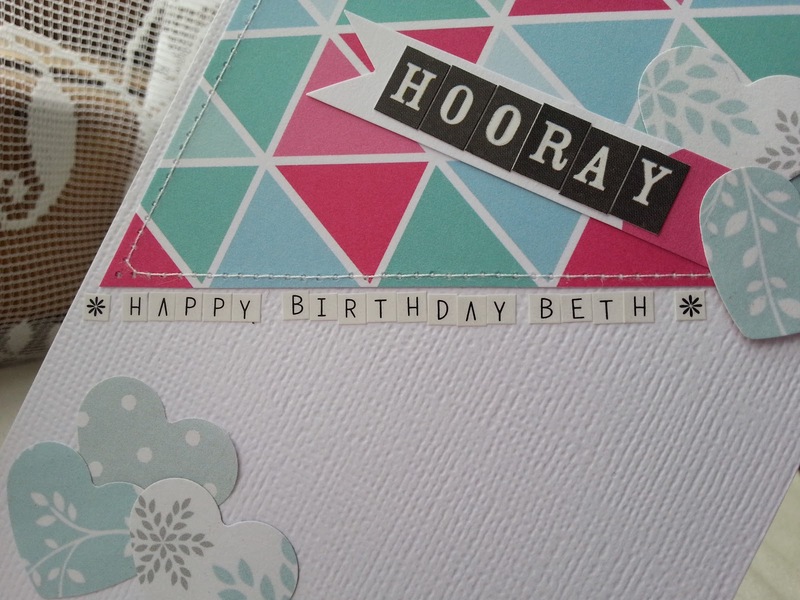 I added a bold sentiment with black alpha stickers, and a small personalised sentiment with white alpha stickers. 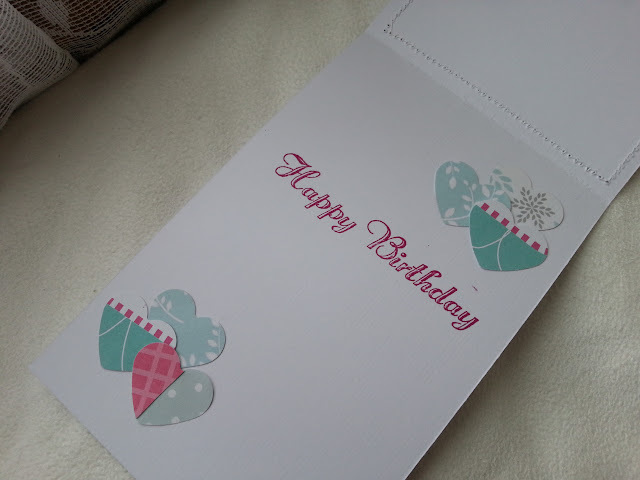 Punched 1 inch hearts in matching colours finish off the outside of the card. 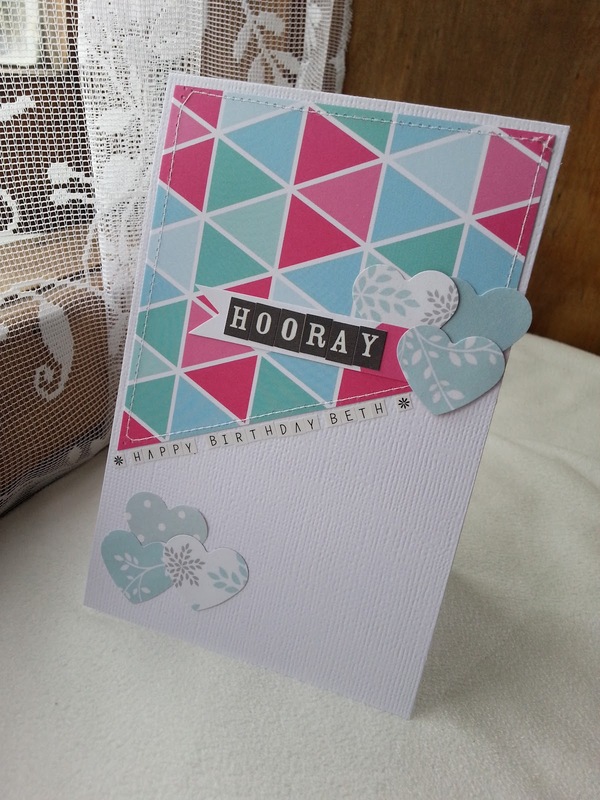 I stamped a birthday sentiment in matching pink and added clusters of the same 1 inch punched hearts.